I recently attended a regional Dermatology Grand Rounds held at an academic medical center. The first such meeting I attended was over 45 years ago. The recent program featured live patient viewing of around 20 people with a variety of unusual skin disorders. Around 150 – 200 dermatologists were present. It started with a 1.5-hour patient-viewing during which we all trooped around the clinic and entered exam rooms. We then adjourned to an amphitheater where the cases were discussed (mostly, that is). Five or six professors were the only commentators and little valuable information was offered. There were also three short lectures. 2) A presentation on Erivedge (vismodegib), a newly approved drug for metastatic and complicated basal cell carcinoma, which was basically to introduce the medicine to the practitioners. This presentation was likely sponsored by the drug maker. The fact that this medication costs ~ $7000 per month was not mentioned, but came up in the question period. 3) A talk about cosmeceuticals for black patients, that was intended to promote a new department of Skin of Color at the medical center hosting the program. This presentation did not address any clinically significant area. One patient stands out. 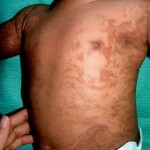 This was a three-month old girl with incontinentia pigmenti. She was attended by her doting parents. The poor babe was crying and frantic as each new group of gawkers trooped into her cubicle. Her case came up for discussion towards the end of the morning. We were running late (the useless scleroderma talk had run over as did some other discussions). The moderator intoned, “This patient was presented for interest only, so because we are running late, there will be no discussion.” I wonder what the infant’s parents would have thought had they known this after carrying their babe to the medical center on a cold and snowy morning. It is time to reevaluate the usefulness of Grand Rounds, a tradition that may have outlived it value. Today, we have the tools to do this online, and to get meaningful input from persons with special interests in the disorders presented. In addition, our online presentations can be easily archived for any others with similar cases to investigate and treat. Virtual Grand Rounds in Dermatology is an example of how this can be done. Patients come to Grand Rounds with the anticipation that they will be helped in some tangible way. Too often, they are just props for the exercise of this tradition. Most patients do not benefit tangibly. We can, and must, do this better for the sake of our patients. The tools to achieve this are available and will only get better. Why waste hours of our time and subject patients to Grand Rounds when it is likely to be little value to them? All too often, they are just warm bodies to enable our academic centers to continue this charade. 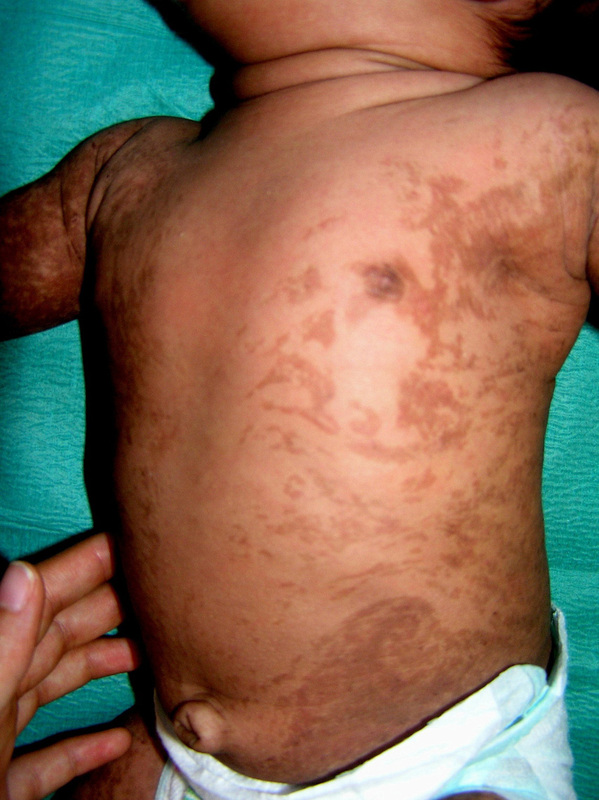 One needs only to think of the bawling terrified three-month old with incontentia pigmentia to shake one’s head ruefully and consider how to make this more helpful and educational for patients and practitioners. Our investigations about patients should start with the patient, continue with the patient and end with the patient. Grand Rounds, as it existed in the past, continues today as a sham that can be replaced by virtual gatherings that hold the promise of better patient care and more meaningful continuing professional education. The recent meeting I attended showcased the institution, not the poor suffering humanity it purported to help. This entry was posted in Elpern, David J. and tagged academic medicine, CME, continuing medical education, grand rounds, incontinentia pigmenti, Internet, VGRD by humanemedicine. Bookmark the permalink. I can appreciate the Sir Osler’s quote here. It seems obvious that was the purpose of beginning our journey in Medicine. Sadly, our desire to learn science seems to overcome the essence of our mission — taking care of our patients. Being in their shoes ( as a patient) sometimes gently reminds me why I became a physician. Truly we begin with the patient, continue with the patient and end with patient….We study and discuss to help ones who are suffering and need help. GR is not for presentation nor entaining our intellectual satisfaction.